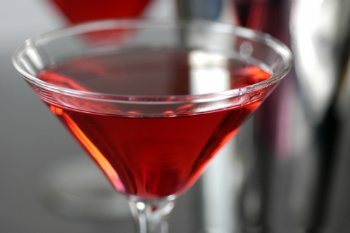 In a mixing glass filled with ice, add vodka, Cointreau, cranberry juice, and freshly squeezed lime juice. Shake and strain into a martini glass. Garnish with a piece of orange peel. This recipe yields 1 serving..